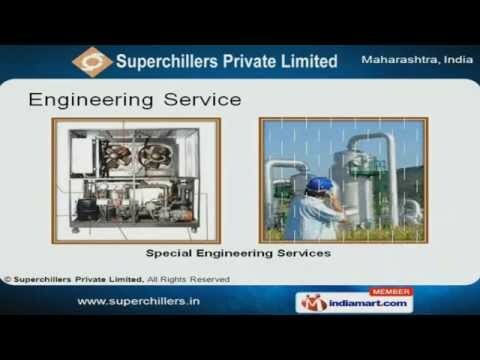 Welcome to Superchillers Pvt Ltd. Manufacturer & Supplier of Optimum Quality Water Chillers & Brine Chilling Plants An ISO 9001:2008 certified company, established in 1993 at Navi Mumbai. Backed by expert team of professionals we are engaged in offering quality products and we cater to Biotech, Pharma, Aviation & other industries.Our In-house R&D wing, optimum quality and reliable range has been able to provide complete satisfaction.Loreal, Godrej Food Ltd, Cadbury India Ltd. and Pepsi Co India Holdings Ltd are few of our esteemed clients.We offer a huge assortment of Liquid Chiller, Annunciator Panel, Cooler Spare Parts and Engineering Service.Our expertise lies in undertaking the engineering projects and offering adequate solutions to our clients.Avail from us a huge range of Liquid Chillers that are widely demanded and appreciated for its extreme efficiency. We also provide Cooler Spare Parts that are known for corrosion resistance and high tensile strength.Owing to its immense durability and superior performance, our Annunciator Panel is extensively used in various industries for varied purposes.